Every year at about this time, public health officials and their media megaphones start up the drumbeat to encourage everyone (including half-year-old infants, pregnant women and the invalid elderly) to get a flu shot. Never mind that more often than not the vaccines don’t work, and sometimes even increase the risk of getting sick. To buttress their alarmist message for 2018-2019, representatives from the Centers for Disease Control and Prevention (CDC) and other health agencies held a press conference and issued a press release on September 27, citing a particularly “record-breaking” (though unsubstantiated) 80,000 flu deaths last year. Having “medical experts and public health authorities publicly…state concern and alarm (and predict dire outcomes)” is part and parcel of the CDC’s documented playbook for “fostering public interest and high…demand” for flu shots. CDC’s media relations experts frankly admit that “framing” the current flu season as “more severe than last or past years” or more “deadly” is a highly effective strategy for garnering strong interest and attention from both the media and the public. If accurate, 80,000 deaths would represent an enormous (and mystifying) one-year jump—tens of thousands more flu deaths compared to the already inflated numbers presented for 2016 (and every prior year). Peter Doshi (associate editor at The BMJ and a MIT graduate) has criticized the CDC’s “aggressive” promotion of flu shots, noting that although the annual public health campaigns deliver a “who-in-their-right-mind-could-possibly-disagree message,” the “rhetoric of science” trotted out each year by public health officials has a “shaky scientific basis.” Viewed within the context of Doshi’s remarks, the CDC’s high-flying flu numbers for 2017-2018 raise a number of questions. If accurate, 80,000 deaths would represent an enormous (and mystifying) one-year jump—tens of thousands more flu deaths compared to the already inflated numbers presented for 2016 (and every prior year). Moreover, assuming a roughly six-month season for peak flu activity, the 80,000 figure would translate to an average of over 13,300 deaths per month—something that no newspaper last year came close to reporting. 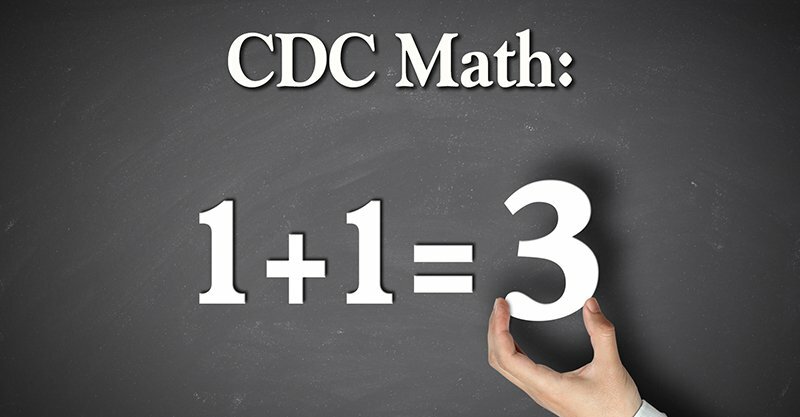 The CDC’s statistics are impervious to independent verification because they remain, thus far, unpublished—despite the agency’s pledge on its website to base its public health pronouncements on high-quality data derived openly and objectively. Could the CDC’s disappointment with influenza vaccination coverage—which lags far behind the agency’s target of 80%—have anything to do with the opacity of the flu data being used to peddle the unpopular and ineffective vaccines? There are a variety of reasons to question the precision with which the CDC likes to imbue its flu statistics. First, although the CDC states that it conducts influenza mortality surveillance with its partner agencies, there is no actual requirement for U.S. states to report adult flu deaths to the CDC. (In public health parlance, adult influenza deaths are not “reportable” or “nationally notifiable.”) In fact, the only “flu-associated deaths” that the CDC requires states and other jurisdictions to report are deaths in children—180 last year. …when actual death certificates are tallied, influenza deaths on average are little more than 1,000 yearly. The system “tracks the proportion of death certificates processed that list pneumonia or influenza as the underlying or contributing cause of death. This system…does not provide an exact number of how many people died from flu” [emphasis added]. Curiously, the CDC presented its cause-of-death data slightly differently prior to 2015. Through 2014, the agency’s annual National Vital Statistics Reports included tables showing influenza deaths and pneumonia deaths as separate line items. Those reports made it abundantly clear that pneumonia deaths (at least as transmitted by death certificates) consistently and dramatically outstripped influenza deaths. The table below illustrates this pattern for 2012-2014. Starting in 2015, the annual vital statistics reports began displaying P&I together and eliminated the distinct line items. At present, only one tool remains to examine mortality associated with influenza as distinct from pneumonia—the CDC’s interactive FluView dashboard—which provides weekly national breakdowns. The dashboard shows the same general pattern as in the annual reports—that is, lower numbers of influenza deaths and much higher numbers of pneumonia deaths. Bearing in mind all the shortcomings and potential biases of death certificate data, dashboard reports for the first week of March (week 9) for the past three years show 257 influenza deaths versus 4,250 pneumonia deaths in 2016, and 534 and 736 flu deaths (versus over 4,000 annual pneumonia deaths) in 2017 and 2018, respectively. When clinicians in outpatient settings do order testing, relatively few of the “flu” specimens—sometimes as low as 1%—actually test positive for influenza. There is “no reliable system to monitor and quantify the epidemiology and impact of ILI” and no way of knowing what proportion of ILI is caused by influenza. There are almost no reliable data on the number of ILI-related physician contacts or hospitalizations—and no one knows what proportion of ILI doctor visits and hospitalizations are due to influenza. “Pneumonia,” too, is a catch-all diagnosis covering lung infections caused by a variety of different agents: viruses (non-influenza as well as influenza), bacteria, fungi, air pollutants and many others. Interestingly, hospitalization is a common route of exposure to pneumonia-causing pathogens, and mortality from hospital-acquired pneumonia exceeds 60%. In a plausible scenario, an adult hospitalized for suspected (but unconfirmed) “flu” could acquire a lethal pneumonia bug in the hospital, and their death might be chalked up to “flu” regardless of the actual facts, particularly because clinicians do not necessarily order influenza testing. When clinicians in outpatient settings do order testing, relatively few of the “flu” specimens—sometimes as low as 1%—actually test positive for influenza. Over the past couple of decades, the proportion of specimens testing positive has averaged around 15%—meaning that about 85% of suspected “flu” specimens are not, in fact, influenza. Roughly four-fifths of the vaccine injury and death cases settled through the National Vaccine Injury Compensation Program are flu-vaccine-related. Previous influenza vaccination, particularly in those who get a flu shot every year, diminishes or “blunts” the already low effectiveness of flu shots. Getting vaccinated against influenza increases susceptibility to other severe respiratory viruses and also to other strains of influenza. Mothers who receive influenza vaccines during pregnancy face an increased risk of miscarriages and their offspring face elevated risks of birth defects and autism. A systematic review of influenza vaccine trials by Cochrane in 2010 urges the utmost caution. 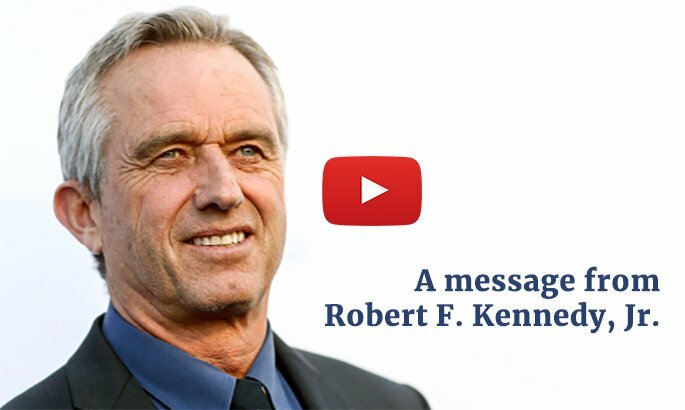 Noting that “studies funded from public sources [have been] significantly less likely [than industry-funded studies] to report conclusions favorable to the vaccines,” and citing evidence of “widespread manipulation of conclusions,” the Cochrane reviewers’ bottom line is that “reliable evidence on influenza vaccines is thin.” We should all keep those words in mind the next time the CDC and the media try to mischaracterize flu facts and science.